Valar assault Utumno (4590 F.A.) 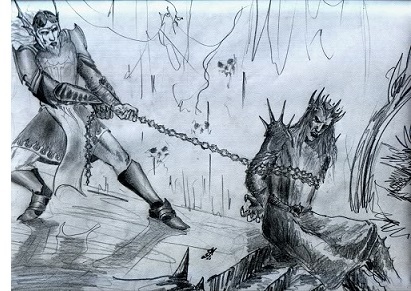 - Once Orcs began to cover the land, the Valar knew it was the work of Melkor. They set out to put a stop to his evil deeds and laid siege to his dark abode at Utumno. What followed became known as the Battle of the Powers.